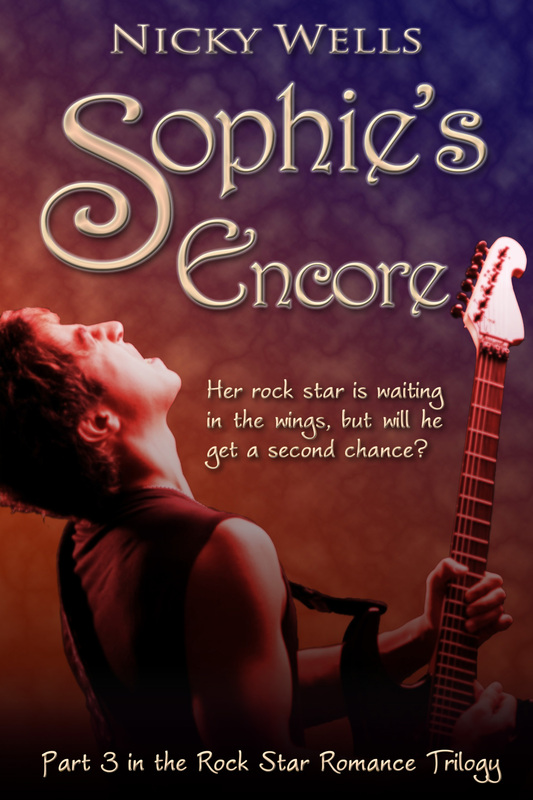 Nicky writes contemporary romance featuring the rock star and the girl next door. If you’re looking for a fantastic feel-good, glitz-and-glamour fairy tale, you’ve come to the right place. If you’ve ever had a crush on any kind of celebrity ~rock, pop, movie or other ~ you’ll connect with Nicky’s rock-star heroes and leading ladies. 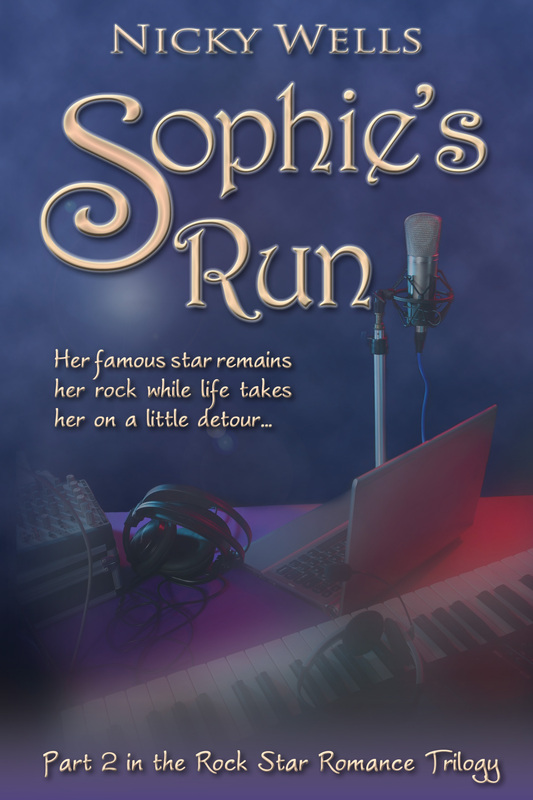 Nicky’s first series, the Rock Star Romance Trilogy, tells the story of the ever-evolving, never-quite-dying love between Sophie and her favourite rock star, Dan: brought to you by Nicky Wells and Sapphire Star Publishing. All books are available in e-book and paperback editions from all Amazon stores and Barnes & Noble. Who says that the road towards true love is straight and even? Sophie is certainly discovering that it is anything but. So she has finally found the man of her dreams! Well… she knows who he is, even though she hasn’t actually quite met him yet. But she misses her opportunity, and then her life goes crazy. Rock star and ex-fiancé, Dan, keeps getting in the way of her new romance—even if he is just trying to be helpful. 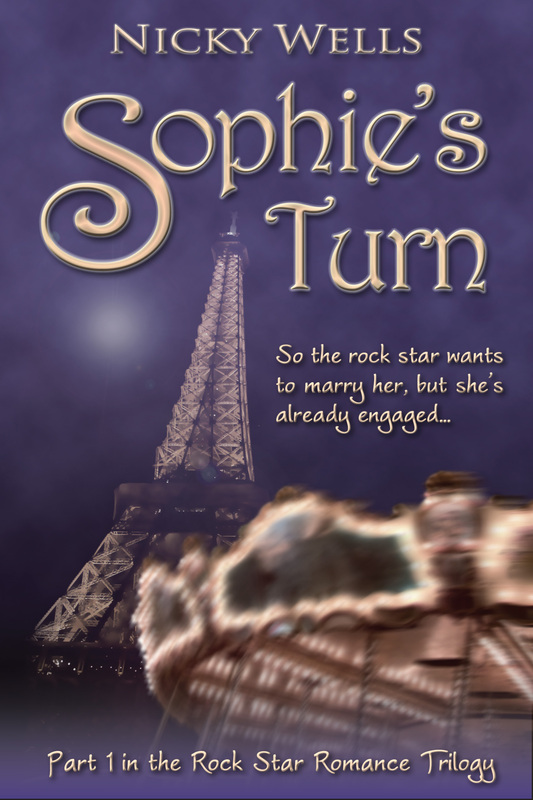 A fire, an impromptu mini-trip with Dan, and a dreaded wedding later, Sophie is still struggling to meet the love of her life. Then, just as she is getting it together with her perfect man, best friend Rachel commits an act of unspeakable betrayal. And to top it all, her new boyfriend leaves her lying in the mud. Sophie has had enough. Confused and distraught, she decides that it is time for radical change. Surprising herself and shocking her friends, she embarks on a secret journey that eventually gets her life back on track. Or does it? Things are happening….I can feel the vibes. Hoping all is going well and Dan and Sophie are excited about how their lives are being read and commented upon…..fun times ahead I am sure. 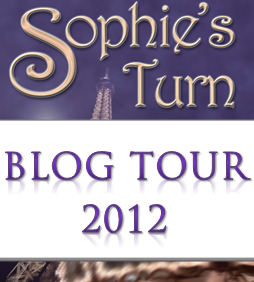 Pingback: SUMMER GIVEAWAY by Reading Addiction Virtual Book Tours | Romance That Rocks Your World!